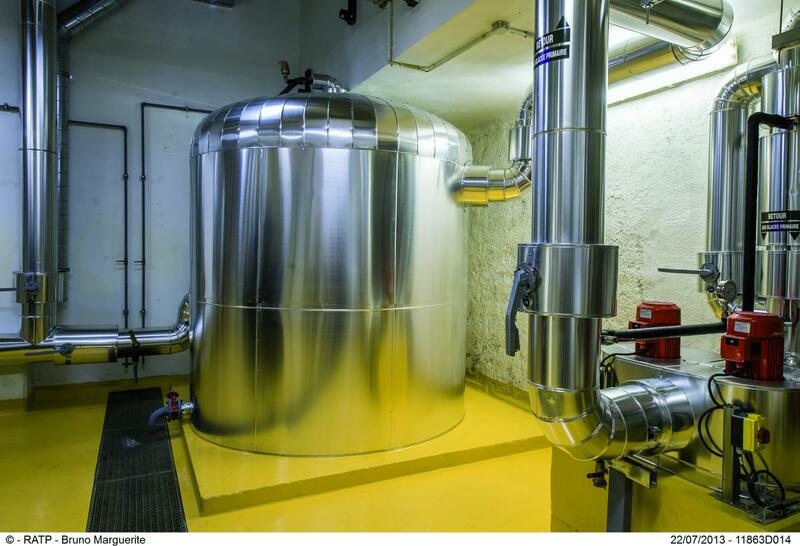 To cool the computer server rooms of its main office building in Paris, RATP used to take deliveries of ice water from an external company. The production of ice water proved to be costly and consumed a lot of energy. The project involved installing a new chiller to cool the server rooms. The chiller can also preheat the building in winter. Its heat is recovered to preheat the steam used to heat the 56,000m² of offices. In addition, the excess heat generated by the chiller also serves to preheat domestic hot water for showers on site. 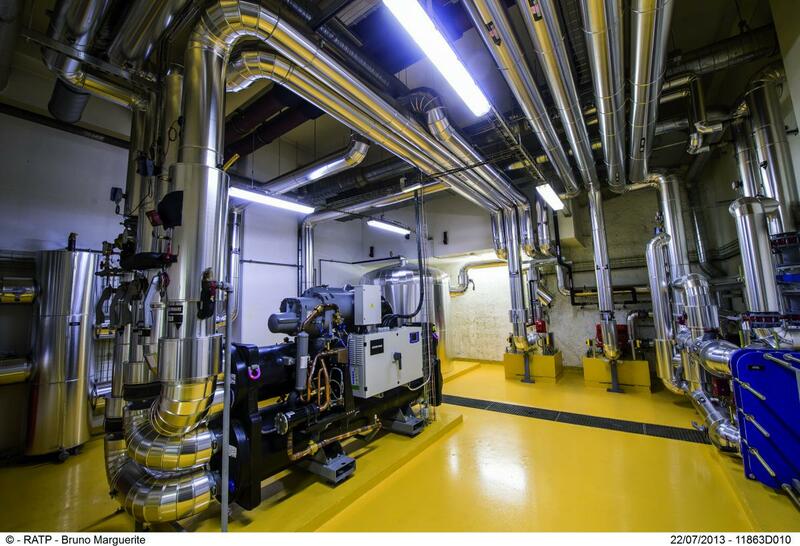 This system allowed 9% energy savings of the total energy consumption of the RATP headquarters building.